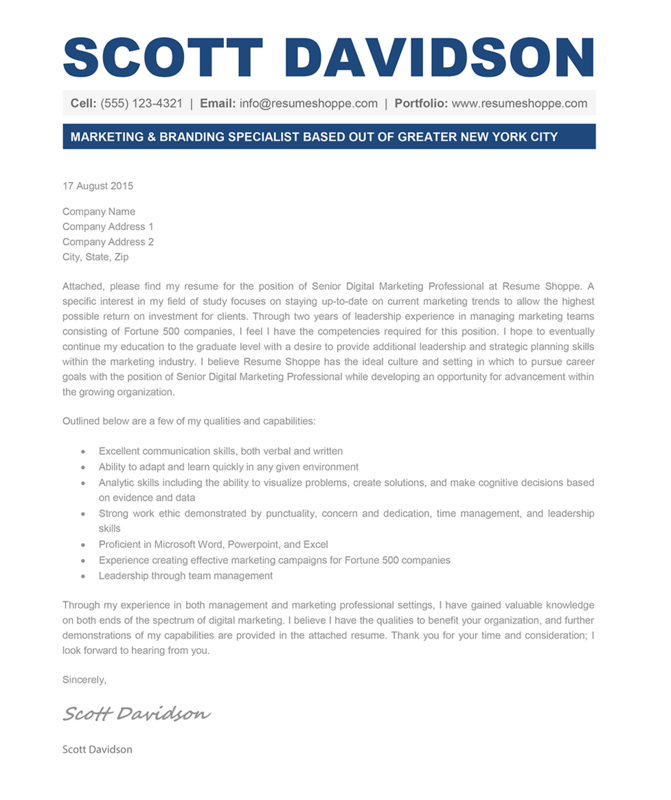 The Scott Cover Letter remains simple and professional while adding character for a creative resume. The dark blue is a more conservative approach for individuals looking to use a creative cover letter without being in a creative career. 1. Open the Scott Cover Letter template with your Word processor.